I never cared much for vintage until recently and now my vintage obsession is somewhat out of control. 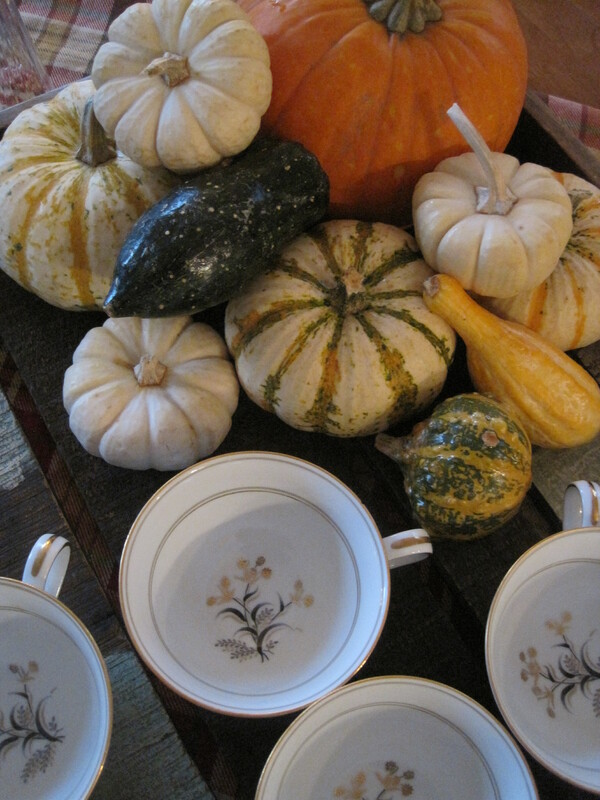 I would use any excuse to pull out vintage tableware. These cups I used to find somewhat hideous, but now I appreciate them. 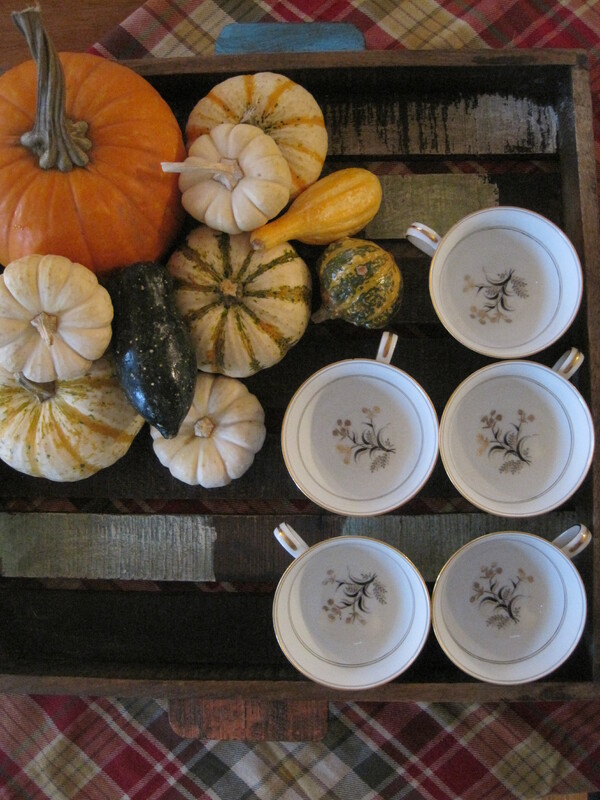 The black and gold make perfect for a late fall tea. 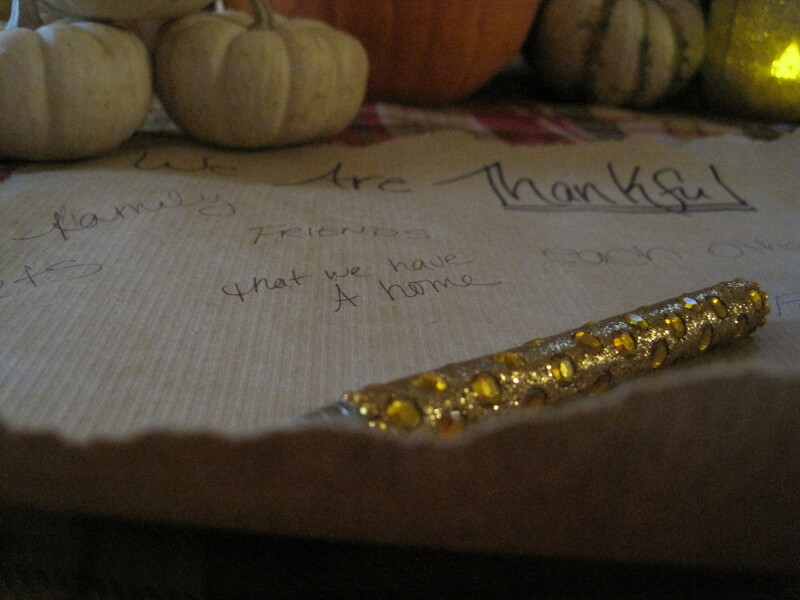 Set up an area for your friends and family to write down what they are thankful for! 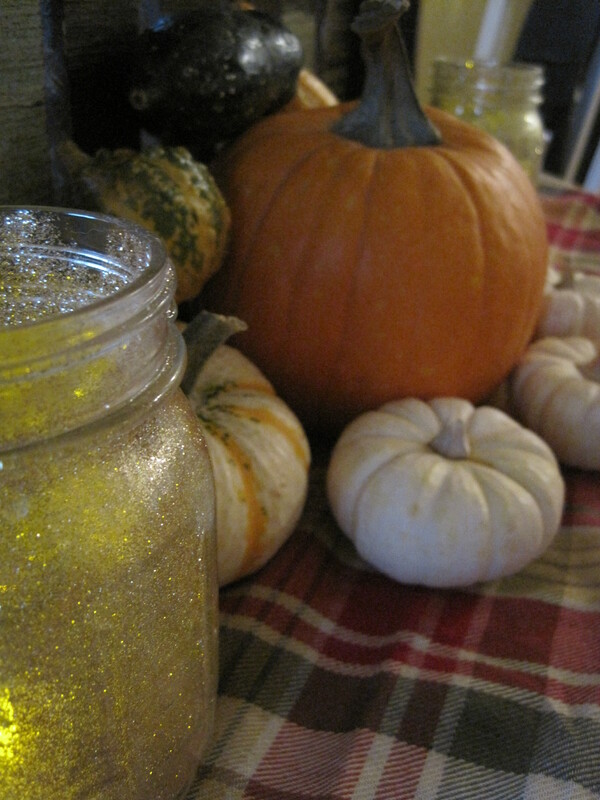 As you probably guessed in the going gold tablescape, I went a little spray paint crazy!! 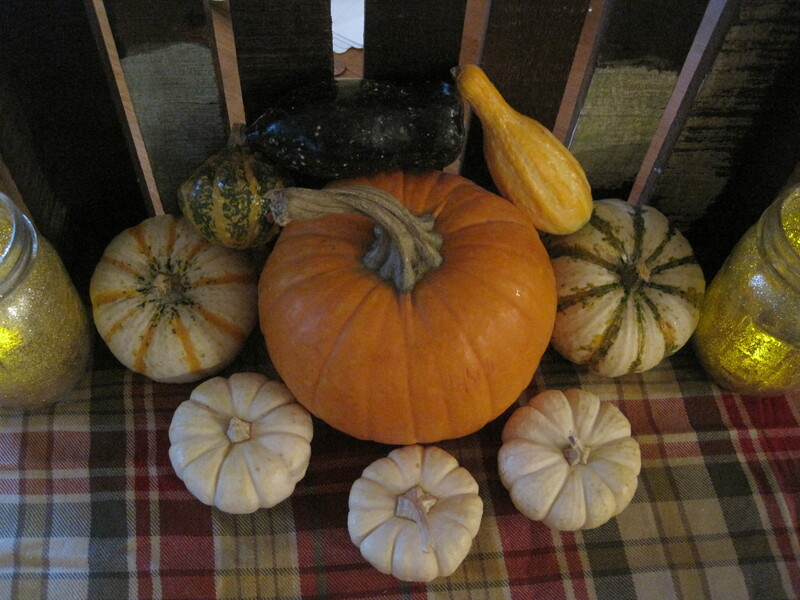 I sprayed enough mini pumpkins & pinecones to do some decorating in other areas of the house! 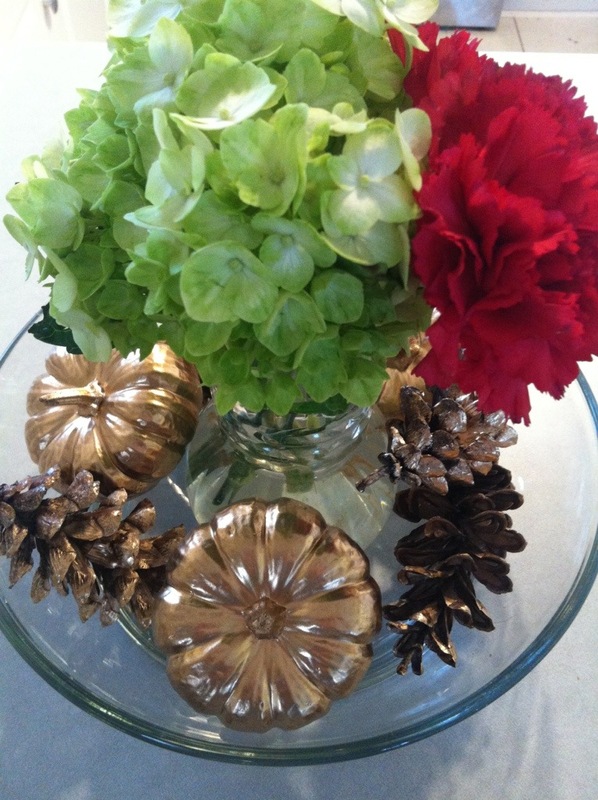 Here is just a simple kitchen counter piece.